“Each year, a Sydney to Wollongong bike ride raises money to fight MS. I put together a team of unicycles but we were unsure if we would be welcomed. The organisers said unicycles are allowed but not recommended so we figured, no worries! We raised over $2000 for the charity. “I started unicycling after signing up for circus skills as a school sport. Learning to ride a unicycle isn’t easy. You have to try, fall off, try again, fall off and keep repeating until you eventually get it. “In my final year at uni I purchased my first good unicycle. It’s a bit like riding a bike from Kmart then upgrading to a racing bike. I started covering greater distances and kept purchasing more unicycles. I have quite a collection now. “I contacted other unicyclists through the internet and now we’re an unofficial Newcastle unicycle group. There are only four main members but we have other tag-alongs. There’s a 90km loop that goes around Lake Macquarie that we’re planning to undertake soon. “The unicycle I ride for commuting has a 29-inch wheel—it’s like a standard mountain bike wheel. I also have a 36-inch wheel that’s really tall. The seat comes up to my chest. It’s a great unicycle for long-distance events as the 36 will go further with every pedal rotation. However, if you hit a hill, it’s very hard to maintain your pace. 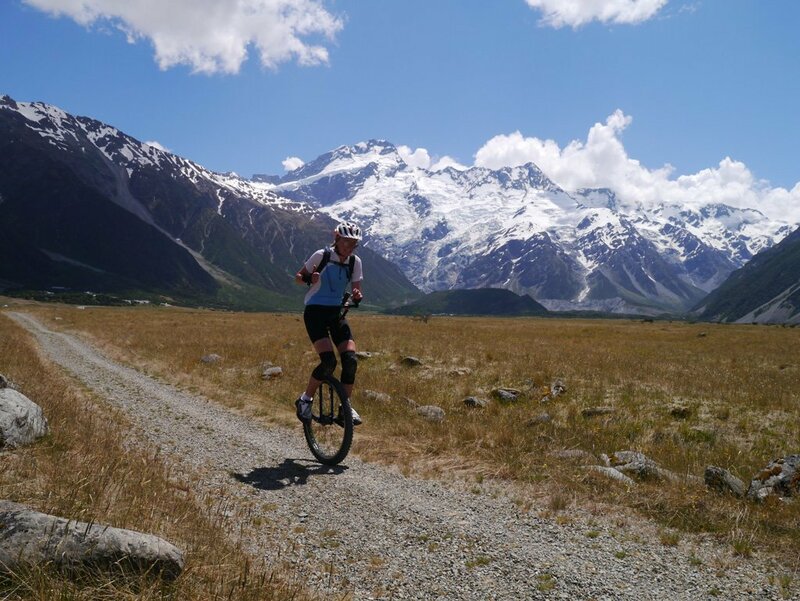 “Unicycling is more of a challenge than two-wheel biking and I’ve met lots of interesting people from different parts of the world doing it. There are also different facets to the sport—you can do trails unicycling, you can do tricks, you can go mountain unicycling or you can ride long distances. And a unicycle fits easily in a car boot.